I can SING whenever and wherever I want to. I can RESPECT people’s differences. I am free to LIVE my faith. BOYS and GILRS are free to go to school. I can SHARE MY CULTURE freely with others. I have access to CLEAN DRINKING WATER. I can EXPERIENCE FOUR SEASONS every year. I can HAVE A DREAM I want to fullfill and THE GOVERNMENT has programs that can and will HELP ME SUCCEED. I can go to the doctor because I have a MEDICARE CARD. No country is perfect, but we must never give up hope. Yes there are many things that we must address in our country, but we must start by acknowledging what is already good as we forge ahead with a positive outlook to make the necessary changes that will ultimately guide us to continue to be a blessing to the world! The maple leaf that we dressed our flag with, is a symbol of healing! 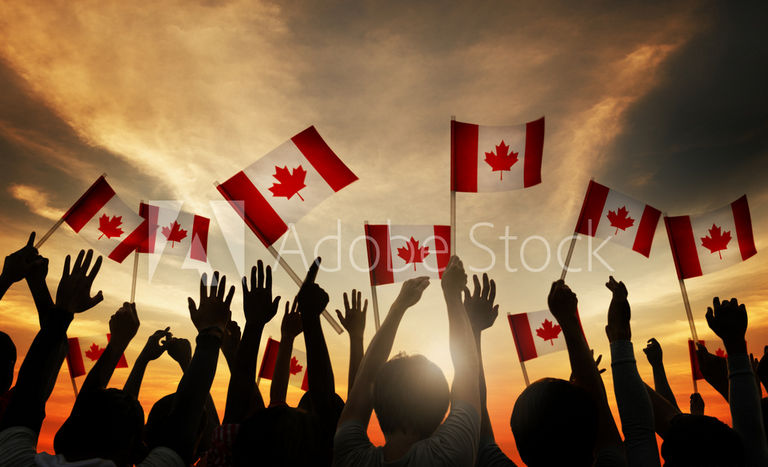 Have a Safe and Blessed Canada Day and remember that this is YOUR country, so take good care of it!